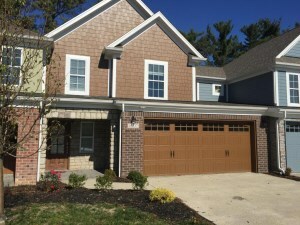 At Home in Louisville will be holding two great Open Houses in Louisville this weekend! 2619 Merhoff Street is a wonderful 2 Bedroom Ranch in Parkway Vista! You'll love the spotless interior & convenient location! 3917 Elmwood Ave is a 3 Bedroom Cape Cod in the Saint Matthews area! Perfect location & numerous updates! Contact At Home In Louisville Real Estate Group for more information. 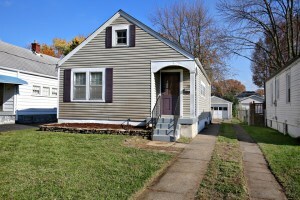 3917 Elmwood Ave Louisville KY 40207 is a wonderfully updated three Bedroom Cape Cod in the Saint Matthews area! 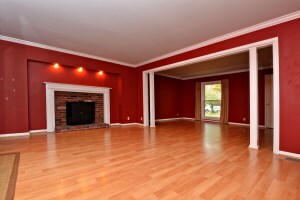 The Living Room is spacious with a gas fireplace & opens to a large Eat In Kitchen. The Kitchen features new stainless steel appliances, granite counters, glass tile backsplash, and ceramic tile floors. There is a room just off of the Kitchen featuring tray ceiling & hardwood floor. Two first level Bedrooms are separated by an updated Full Bath showcasing pedestal sink, travertine tile floor, & shower/tub with travertine tile surround. The second floor is devoted to the Master Suite with hardwood flooring & recessed lighting. There is a Master Sitting Room. The Master Bath includes tub/shower combo, granite counters, and two cedar closets. 3917 Elmwood Ave Louisville KY 40207 also has an unfinished basement with fantastic storage space, workshop, and laundry room. The Basement has both an interior & exterior entry. 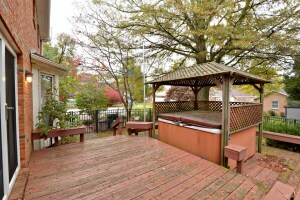 The flat, grassy back yard is great for entertaining & games & is fully fenced. For more information about this home in Louisville, call 502-371-1173. 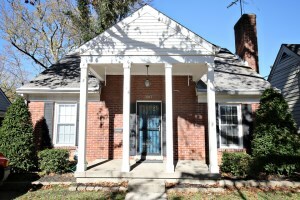 3533 Lentz Ave Louisville KY 40215 is a fantastic two bedroom Bungalow with pristine interior. You will love the character of this home with comfortable living spaces & tasteful decor. 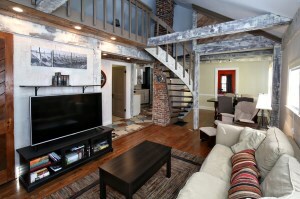 Enter to the Living Room with eye catching spiral staircase & glistening hardwood floor. 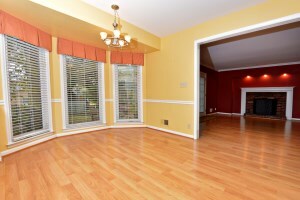 The Formal Dining Room also features hardwood flooring as well as accent chair rail. 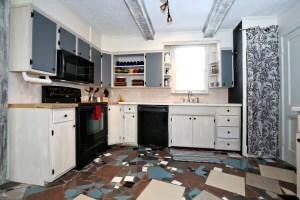 The Kitchen features a unique mosaic tile floor & wood beamed ceiling. The Master Bedroom & Secondary Bedroom are good sized with hardwood flooring in both rooms & crown molding in the second bedroom. A full bath & laundry complete the first floor. A spiral staircase in the center of the home leads to a wonderful Loft space with attached additional room. 3533 Lentz Ave Louisville KY 40215 has a fully fenced yard and one car detached garage. Lovely property and completely Move in Ready! Call today for more information about the great piece of Louisville Real Estate! 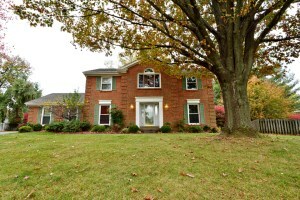 9802 Bay Hill Dr Louisville KY 40223 is a beautiful four Bedroom brick home in sought after Old Dorsey Place. The home sits on a quiet cul-de-sac with a wonderful grassy back yard & deck & hot tub for outdoor enjoyment. The front entry opens to a lovely Foyer which connects to the Living Room with glistening flooring which continues to the Family Room. 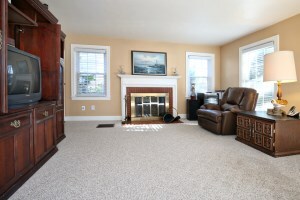 The Family Room features a handsome brick fire place and accesses the back deck. 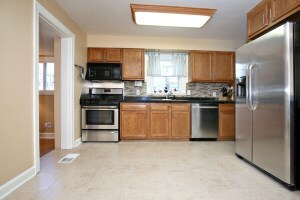 The Kitchen has a comfortable Dining Area with bay window and plentiful cabinetry. The Formal Dining Room showcases decorative chair rail and crown molding. A half bath rounds out the first floor. Upstairs, you'll find a large Master Bedroom with attached Master Bath & abundant closet space. The second floor also includes three more bedrooms & a full bath. 9802 Bay Hill Dr Louisville KY 40223 has a partially finished basement with a huge Family Room & a Laundry Room. The unfinished section of the Basement is great for storage. The home offers a two car attached garage. The Windows, Water Heater, & Roof have replaced since the current owner purchased the house. Call 502-371-1173 to learn more about this fantastic Home In Louisville or to schedule a private showing! At Home in Louisville Real Estate Group will be hosting THREE Open Houses in Louisville this weekend! 10237 Dorsey Pointe is one of six remaining townhomes in the lovely Dorsey Pointe Townhome community just off of Shelbyville Rd. Enjoy spacious interiors & an open floor plan. Choose your custom cabinetry, tile, and light fixtures! 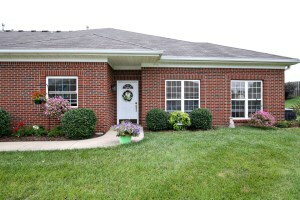 416 Turnberry is a wonderful, move in ready 3 Bedroom patio home in Shelbyville. 9802 Bay Hill Dr is a fantastic 4 Bedroom home in Old Dorsey Place. Call 502-371-1173 for more information about any of these properties or take a personal tour this Sunday! At Home In Louisville Real Estate Group will be hosting an Open Houses in Louisville this Sunday November 8th from 2-4pm. 2619 Merhoff St is a ranch in Parkway Vista that is well maintained. Come enjoy a quiet Sunday & tour this great home! Call 502-371-1173 for more information or if you would like a personal showing.